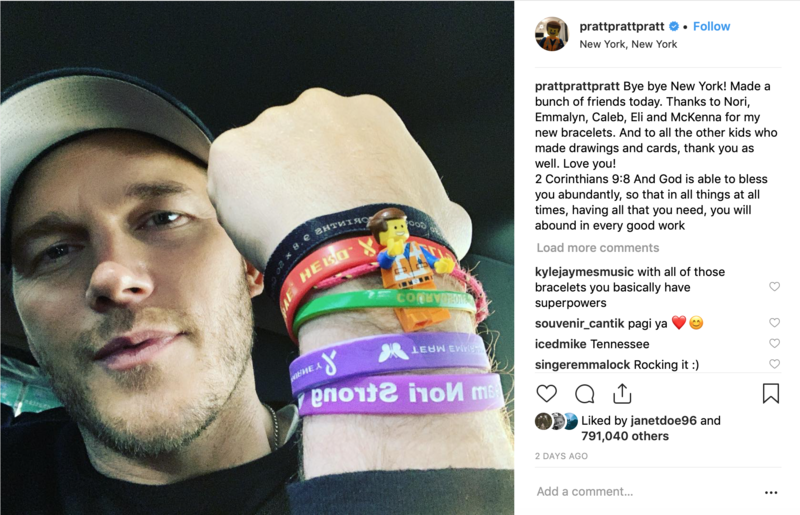 Pratt also shared his gratitude for the experience on Instagram. 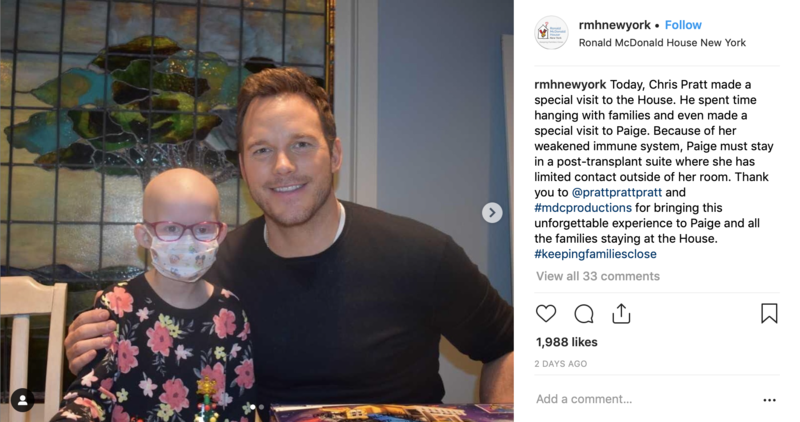 The movie star posted a collage of five photos, each featuring him spending time with a different kid. 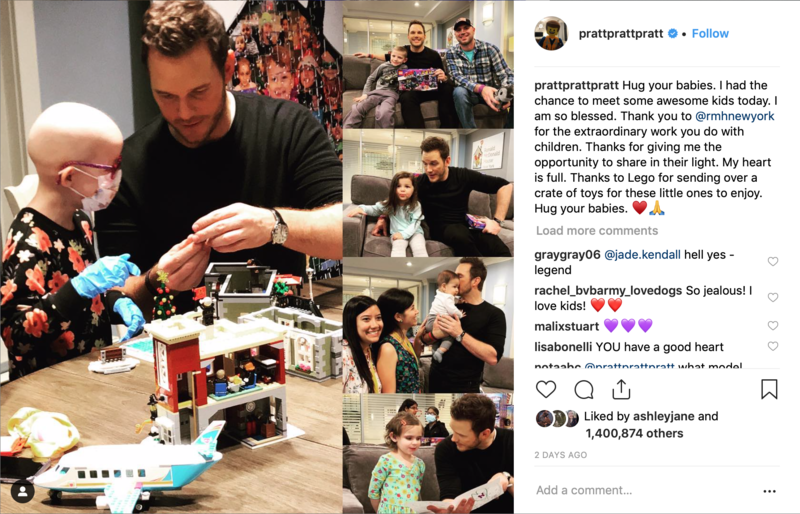 One photo shows Pratt sitting with Paige as the two played with Legos together, another shows Pratt kissing a baby, and yet another shows Pratt looking at what appears to be a drawing or a card done by one of the kids. Pratt also thank Lego for sending over a box of toys for the kids to have. 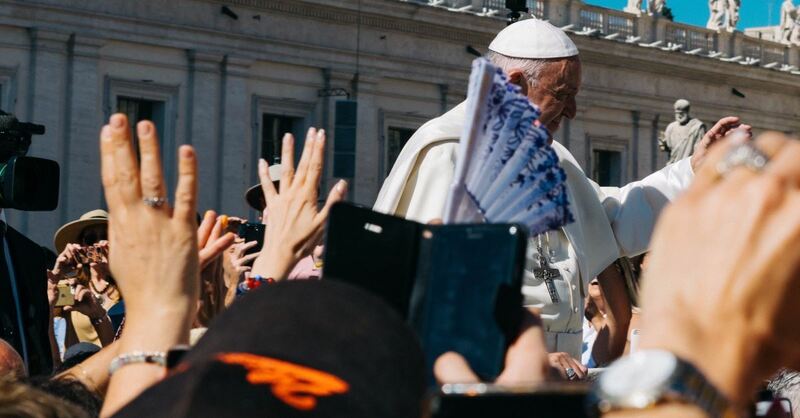 In a second post, Pratt thanked some of the kids for his “new bracelets” and shared a bible verse to encapsulate the experience. He wrote, “Bye bye New York! 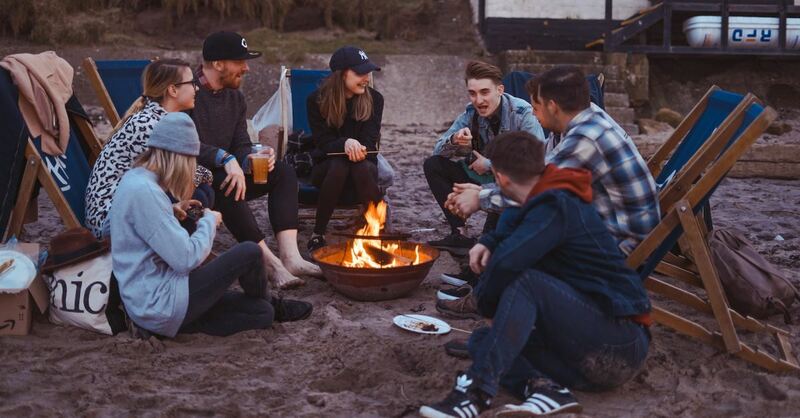 Made a bunch of friends today. Thanks to Nori, Emmalyn, Caleb, Eli and McKenna for my new bracelets. And to all the other kids who made drawings and cards, thank you as well. Love you! 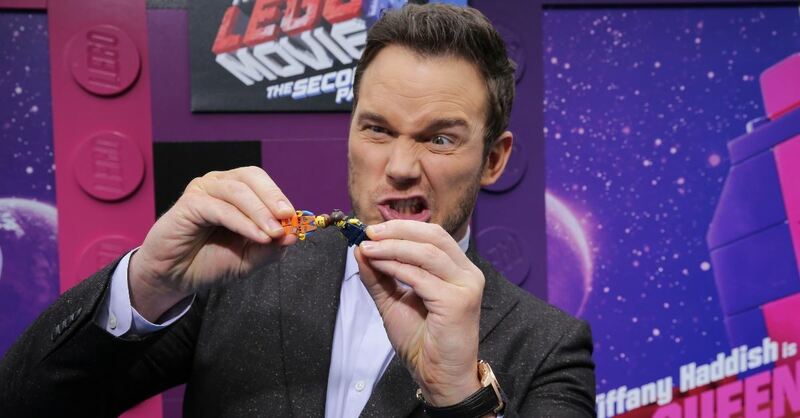 Pratt is preparing for the release of his newest movie the Lego Movie 2 which comes out on February 8.